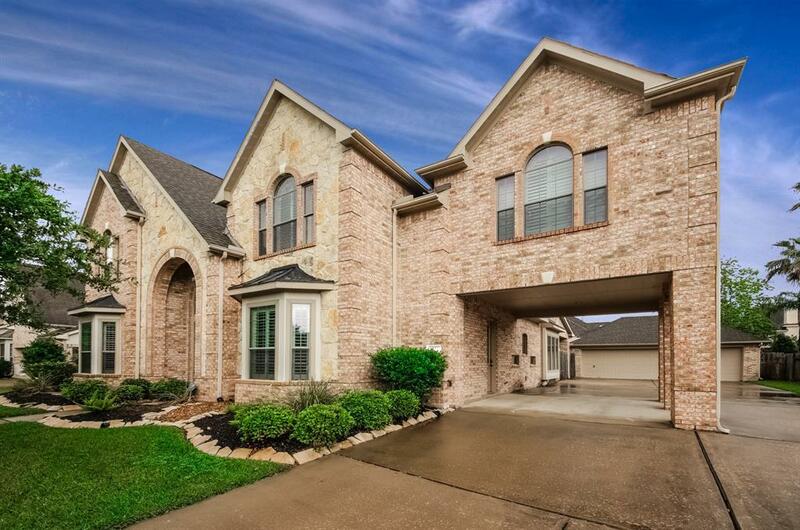 Don't miss this beautiful Trendmaker home in Friendswood Oaks! NO FLOODING! 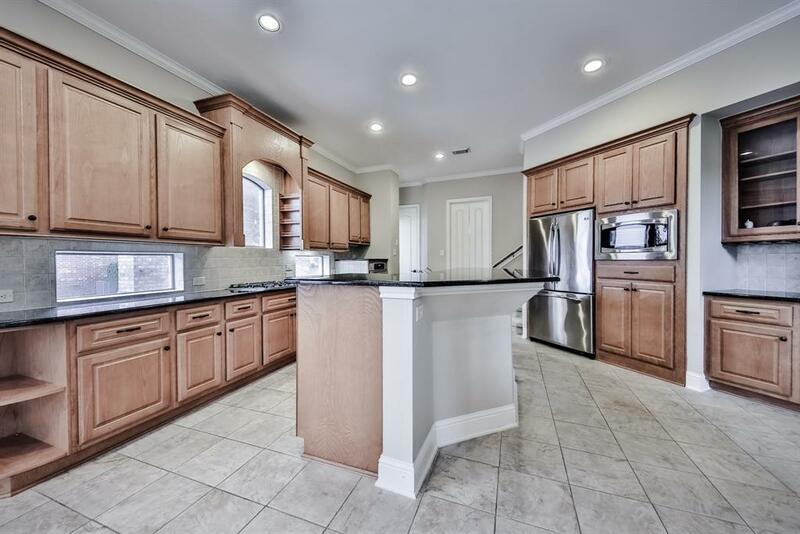 This house is a tremendous value considering all the amazing upgrades! 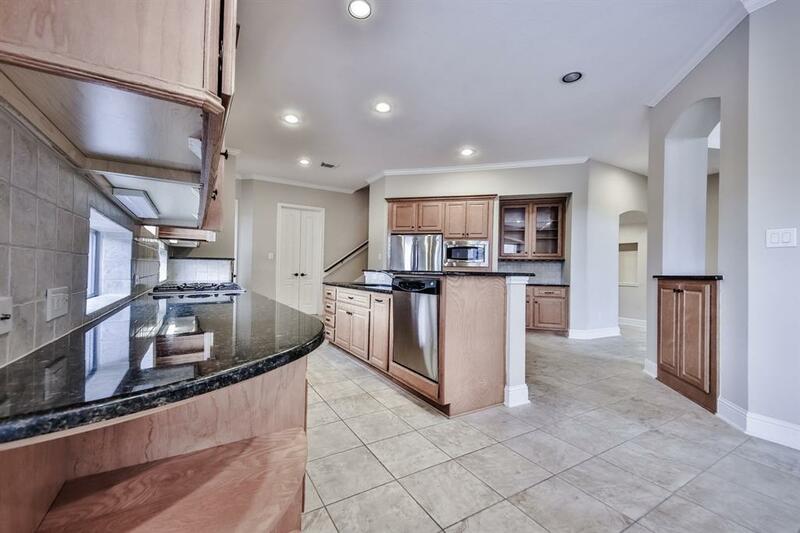 Upgraded chef's kitchen with gas cooktop, spacious kitchen island, ample cabinet space and tons of natural light! Open floor plan to the living room with a pass-through gas-log fireplace, two-story ceilings and copious space for entertaining. Phenomenal master suite on the first floor with vaulted ceilings, sitting area with gas-log fireplace, "his and her's" closets with custom storage shelves, soaking tub, and granite countertops. Large backyard with spacious patio and 3 car garage!!! Three bedrooms upstairs along with the over-sized game room and inviting media room! Secret room as well! 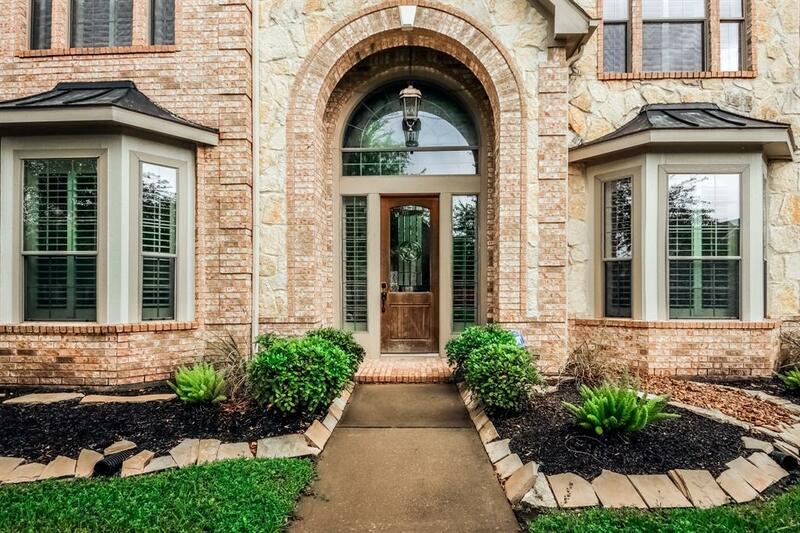 Porte-cochere with extra wide driveway! Set up your tour today before its gone!